All available scores for Freedom For The Stallion are in the section below. 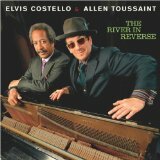 Allen Toussaint, Elvis Costello (also known as Declan Patrick MacManus, D.P. Costello, The Imposter, Little Hands of Concrete, Napoleon Dynamite, D.P.A., International Art Thief The Right, Reverend Jimmy Quickly, Howard Coward), Elvis Presley (also known as Elvis Aaron, The King of Rock and Roll) is the writer of this piece of music. You can preview the first page of Freedom For The Stallion by clicking on the preview icon next to the the arrangement that you that you would like to view. Most files also offer a short audio playback and the facility to transpose a piece. If we have arrangements for a variety of instruments, but you would like to only see the scores we have for one specific instrument, then please alter the selection accordingly in the section just below this paragraph. We'd like to encourage you to leave a customer review for the sheet music for Freedom For The Stallion. To do this log in, or create an account if you haven't already got one, then choose a unique screen-name (which is seen publicly), and off you go. Do you want to tell the world how great this track is? Great - simply click on the share button and choose from facebook, twitter, email and other sharing options, and off you go. You don't even have to be logged into your Great Scores account to do this. Freedom For The Stallion is available for 4 instruments. There are 2 arrangements to choose from.